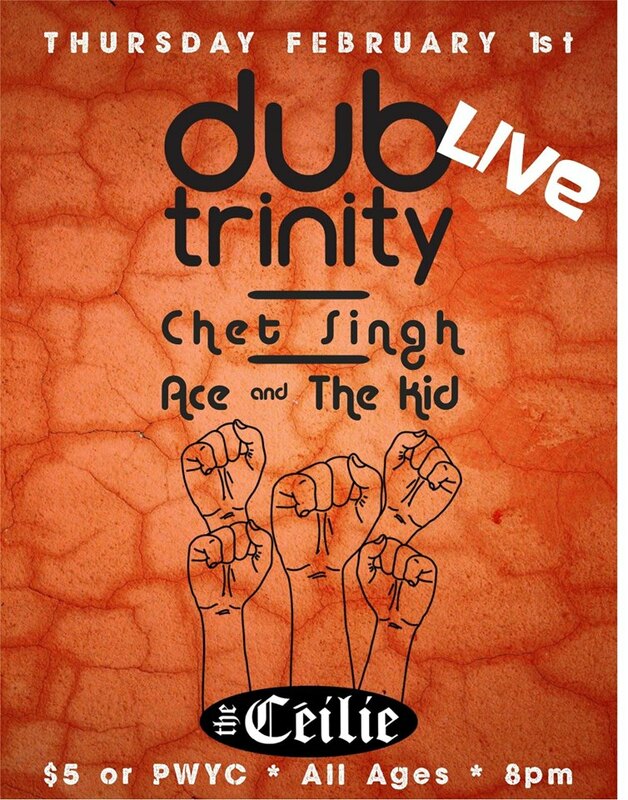 Dub Trinity plays Trent University! We’re going back to school! If you’re a Trent student or alumni, (or their guest), come on by and see us at the Ceilie on Thursday, February 1. Doors open at 8 and it will an earlier night than a downtown gig. Let’s shake Champlain! All ages. 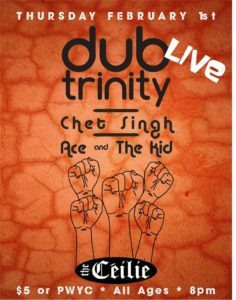 We’re very pleased to be joined by Dub Poet and longtime Dub Trinity collaborator Chet Singh as well as acoustic duo Ace and The Kid.